March was such a fun month for me with my parents visiting Dubai, my birthday and doing various lovely things! We're already now a quarter of the way through 2014-incredible! 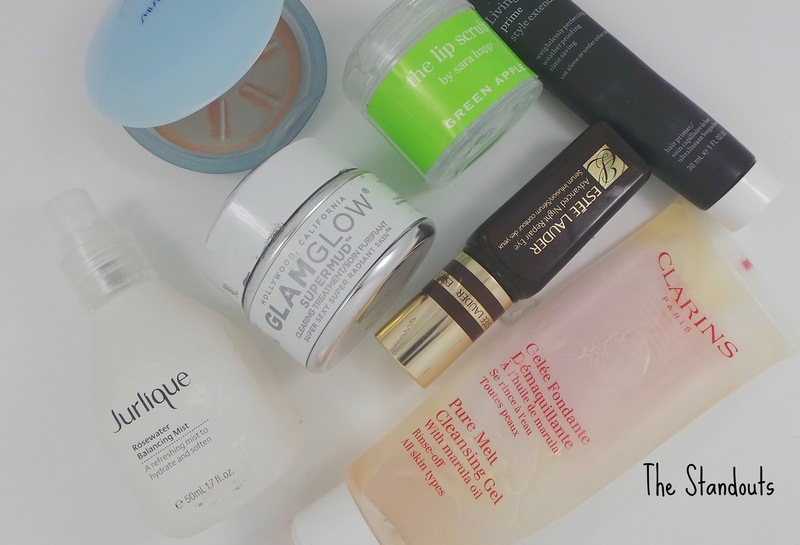 I had SO many empties this month-I was even shocked myself when I dug out my 'empties box' yesterday! As usual, rather than discuss them all, here are the standouts. 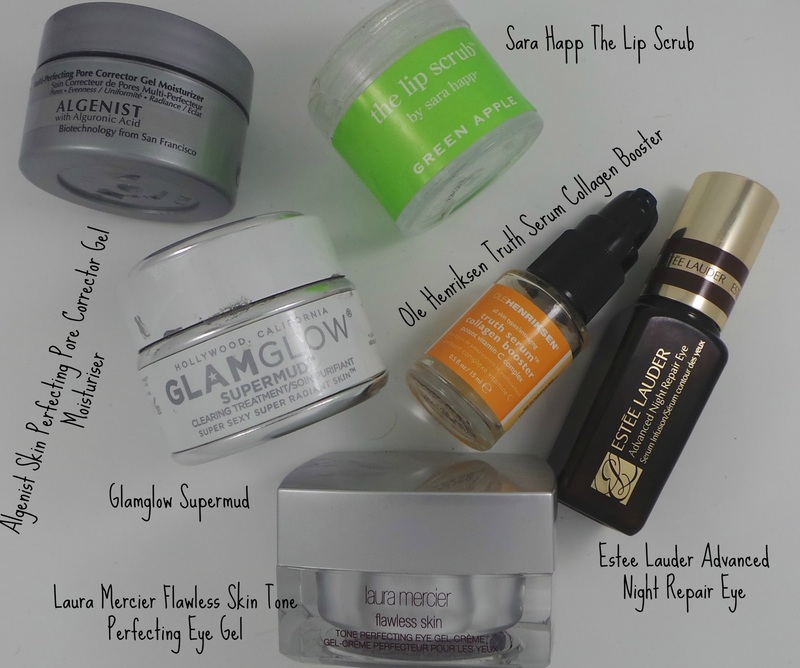 I do have some posts on my blog about the other products-especially the skincare so I will link them also below. I actually bought this in error when the SA in Bloomies gave me the wrong product. I wanted the setting powder but this is the powder foundation. However, because it is quite light I used it to set my foundation by swirling a big brush in it then buffing it onto my skin. It gives a really nice matte effect to the skin without making it look flat. The powder is quite soft and creamy so didn't look cakey or powdery on the skin at all. I can see me definitely repurchasing it! 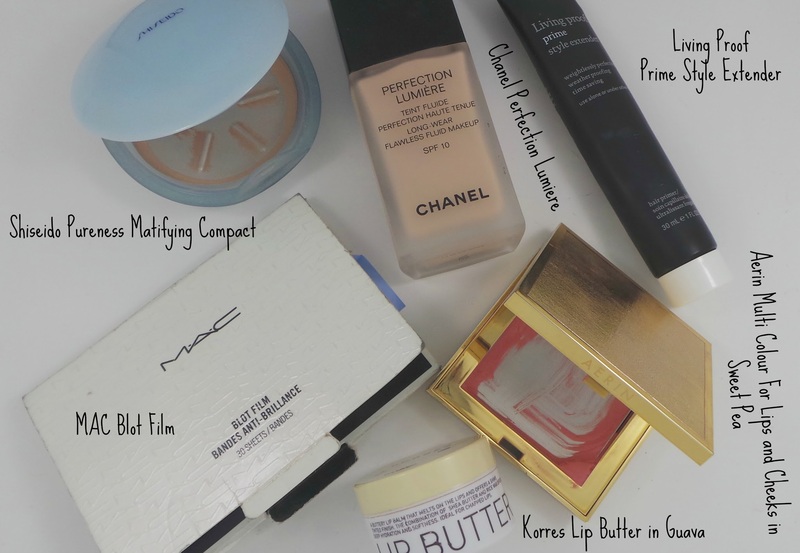 It is quite full coverage and is probably similar to MAC Studio Fix powder foundation. The smell of this hydrating toner was amazing-fruity and light and a real pick me up. I love the heavy glass spray bottle. The bottle offers a powerful spritz of toner which absorbs into the skin instantly so you don't need to wait before applying your next layer of skincare. This was my first Jurlique product and won't be my last! This is my second tube of this-the last one was in my Feb empties post. This cleanser is the first cleanser in years that once finished I have immediately purchased and used another one. I absolutely love this light gel cleanser that turns into oil then milk upon application. 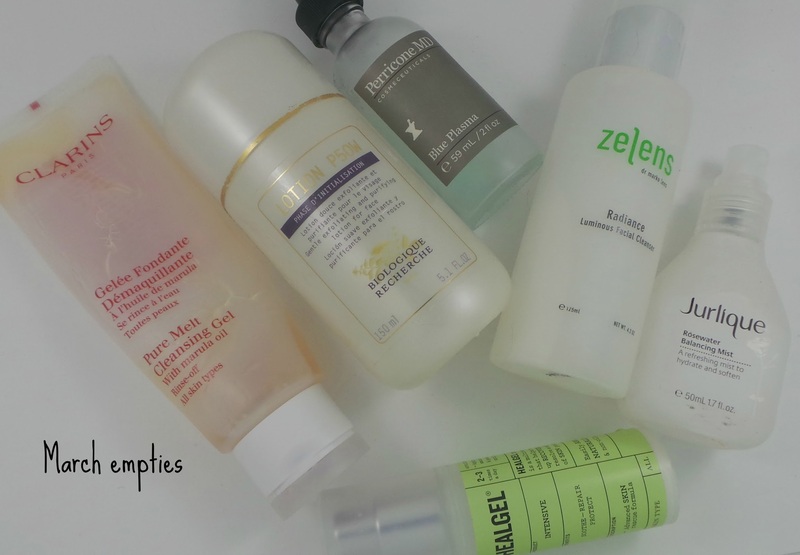 It's pretty much holy grail status for me-the only problem is that I love trying new things and tend to switch up cleansers often but I will always have one of these in my stash. You can read a full review here. Ok so the Sara Happ scrubs are pretty pricy for a lipscrub (around the £20 mark) BUT they really are well worth the investment because a) they are amazing and b) they last forever! I find this scrub to be so much gentler than the Lush counterpart, sloughing off dead skin really easily. I recently saw Shruti from Missy In The Mirror do an excellent post on the scrub, it's well worth a read if you are considering a purchase! I love Glamglow! It's everything I hoped it would be and is a great once a week deep clean for the skin! I have had the black and the white version and I personally love both but I would say the white version is milder on the skin than the black version-the black version definitely made my skin tingle more and has a grainier texture to it. I reviewed the black version in full here and a mini review of the white version here. One of the best eye creams I have ever used in terms of visible results and a brighter eye area. This is a light serum/gel which smoothes and hydrates the eye area and absorbs quickly. I have already purchased another one. This light cream has been a bit of a game changer for my hair. I use a tiny tiny blob raked through damp hair with my fingers before blow-drying. It's very light and isn't sticky at all. My hair is so smooth and sleek afterwards but without looking at all greasy. I almost don't need to use my straighteners. My hair stays tangle free and smooth and shiny all day. You can read about the Perricone MD Blue Plasma, the Zelens cleanser, Biologique Recherche P50W and Laura Mercier eye cream in my AM and PM skincare routine post. HANDS DOWN, BABE! Those are empties I would love to finish up myself.